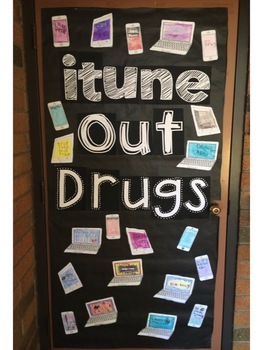 If you are going to be decorating your door for Red Ribbon Week, this is a really way to get a creative and cute door without going through the extra work to cut letters and decorate it all with your own materials. 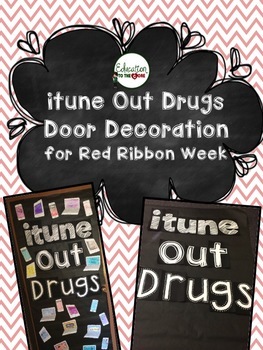 Everything you need to decorate your door is included in this freebie. 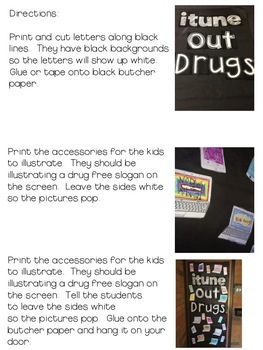 Of course, you will need black butcher paper or poster board. Directions are included in the pack. Very easy set up and black and white printer friendly! If you have any questions about downloading this product, please contact me via e-mail emily.liscom@gmail.com before downloading this product.